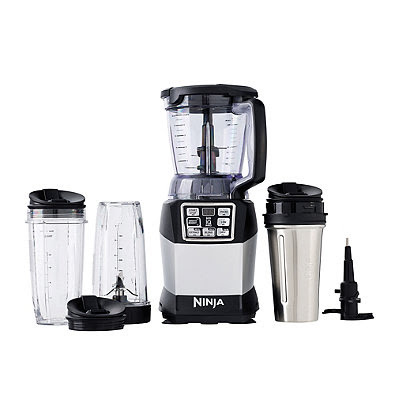 Andrea's World Reviews: Christmas Wishes - Nutri Ninja Auto-IQ Pro Compact Review and GIVEAWAY! 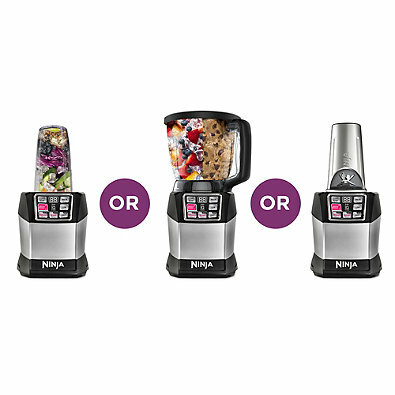 Christmas Wishes - Nutri Ninja Auto-IQ Pro Compact Review and GIVEAWAY! I love the holidays! I don't really want for much of anything, so receiving is not really important to me at all. I do love to give though. I love to put thought into getting something to show my family and friends just how well I know them and how much I care about them. It's fun to shop for things you don't normally get to buy. I especially love the family togetherness and all the fabulous holiday food and drink. I love to entertain, but most of the family is not local, so we only get to do it around the holidays. When I entertain, I make the most of it. I am always looking for the perfect recipe or an improved presentation, and any tools that can take my celebrations to the next level. This year is shaping up to be my best one yet. That is because this year I have the Nutri Ninja Auto-IQ Pro Compact Blender System. Now I will not only be more efficient, my recipes will all turn out better than they used to. As someone who not only wants to impress my guests, but also loves food and wants the very best to enjoy myself, great results are very important. That is why the Auto-IQ technology and Smooth Boost are such a great features. No guessing, just perfect results every time. With the Nutri Ninja system I can also make more savory offerings like soups (I made the most divine butternut squash soup), salsa, hummus, guacamole and more. Since this system chops too, I can save tons of time. Chopping by hand takes so long and gives me hand cramps. I love that I can use the Blend and Prep Bowl to make drinks for several people at once, or I can use the 24 oz. stainless steel cup or one of the two 24 oz. Tritan™ cups to make a serving for just one person. That way everyone can get exactly what they want. That is perfect for me when I am not entertaining too, I can blend and drink from the same container. Less dishes to wash is ALWAYS a perk. Best of all, the Nutri ninja Pro Compact with Auto-IQ is not just great for entertaining, it will be great for almost daily uses all year round. When I actually get back on my healthy eating plan (in the new year probably, I love holiday goodies too much), this will be wonderful for healthy smoothies and juices and protein shakes. I can make veggie soups and healthy home made hummus and healthy veggie sauces. 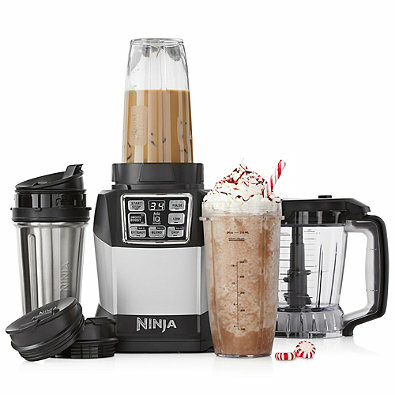 The Nutri Ninja Auto-IQ blending system would make a fantastic gift for any chef or cooking enthusiast, anyone looking to eat healthier and make more things at home (like affordable green tea fraps without the artificial ingredients, which are to die for by the way.) It would be a great gift for parents of a baby or young child for making fresh baby food, apple sauce and more. It would be great for the cocktail lovers and hostess. Honestly, almost anyone could benefit from this Nutri Ninja system, even if they never though they needed it. There are so many ways for this system to save time, energy and money. Thanks to Ninja's generosity, one lucky winner will get to see just how great this system really is. Just enter the Rafflecopter below for your chance to win this fabulous prize. Good luck. Be sure to check out all the other Christmas Wishes giveaways HERE. There are 10 fabulous blogs participating, and thousands of dollars in prizes to be won. New giveaways are added all the time, and you won't want to miss any of them. First and foremost, hummus & pesto. Smoothies on a daily basis! I would love to make some lattes! I'd like to make carrot ginger soup. I'd like to make smoothies with it! I would like to make soups. Would love to make coffee drinks, salsa, smoothies, and hummus! I would like to make some salsa to start. I'd make soup! I've got a great recipe for butternut squash soup, which I havent' made lately because my blender is on its last legs. I would make strawberry banana smoothies. I'd make green smoothies! I've discovered I LOVE them! I 'd make strawberry shakes! I would love to make healthy smoothies in the morning to start my day. I would make a blueberry/banana smoothie! I would Make My Morning smoothie in it! I would make smoothies in the morning so I can kick-start my healthy routine! My son loves smoothies and milkshakes. I think I may use it to make some good homemade soups. I would like to make hummus. I would love to make different soups in it. I would love to make smoothies in it! I'd like to make smoothies. I would love to make strawberry banana smoothies. I would love this to make my green smoothies. Mine leaves them a little gritty. I would love to use it for some tasty dips and salsas. I would like to make chocolate banana "nice cream" out of this first! My vegetable turkey gravy. It's delicious! I would love to make some amazing smoothies!!!! We love to have Smoothies for Breakfast so i would use it to make them! I would make banana smoothies for days! I would make smoothies for my daughter for breakfast. id love to make a veggie smoothie! I like that it can make so many different things. I would love to have this to make fraps and smoothies. Thanks for the chance to win. I would love a smoothie... or a milkshake!! :) Throw in some berries & ice cream! We would definitely be making smoothies! I would be making pesto and some potato soup. I would make a million yummy smoothies for my kids! I have never owned a good blender... always had a cheap one. I would love a blender that could easily blend all my fruits that I put inside of it for smoothies or shakes. I'd use this to make my morning protein smoothies. I would love to make some healthy smoothies. Im a smoothie person but I would like to try homemade creamy soups. 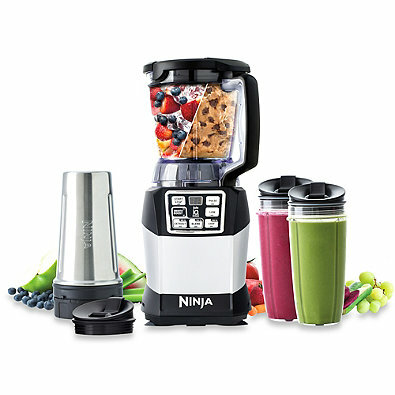 I would make healthy smoothies and sauces in the Ninja Blender. I would love to make homemade salsa. I'd most likely make fruit smoothies in it. Thanks. I would make my morning juices as well as make my elderly mother her smoothies. I also love to make new soups weekly. My fiend at work just got one and makes a smoothie almost every day with fresh fruit! I would love to do the same! I would like to make fruit and vegetable healthy smoothies. I've been trying to gain some weight and I'd love to make some great tasting protein shakes. I'm a freak for smoothies so I would love to make a banana, strawberries and coconut smoothie. OMG!!! Did I miss out on this??? I need this so bad!! I have been trying to lose weight after gaining nearly 45+ lbs. after my Dad died due to being in a deep depression. I've been wanting to get this to help with healthy food prep, shakes, etc. I would just die to get my hands on one for the New Year! Please and thank you!! !